The range of startup titles has expanded dramatically this year, and whatever economic surprises may be in store for us in 2012, this particular sector is looking unstoppable. We put together a top 10 for this category in January of this year, but this time we could easily have had even an even bigger list than the 20 below (but we didn’t want to wait any longer). (20) Startups: Taking on Staff by Erika Lukas. Published in Paperback – 1 Mar 2012. (19) Startups: Going Freelance by Stuart Derrick. Published in Paperback – 1 Apr 2012. 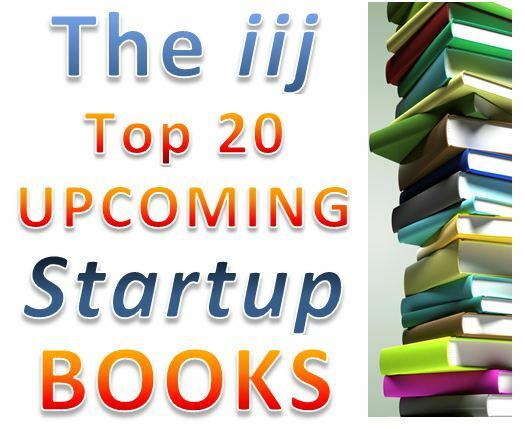 (18) Every Book Is a Startup by Todd Sattersten. Published in Paperback – 31 Oct 2011. (17) It’s Your Biz: The Complete Guide to Becoming Your Own Boss by Susan Wilson Solovic. Published in Paperback – 20 Nov 2011. (16) Creating a Business You’ll Love: Top Entrepreneurs Share Their Secrets by Mark Chimsky-Lustig. Published in Paperback – 28 Oct 2011. (15) Think Big, Act Small: How America’s Best Performing Companies Keep the Start-up Spirit Alive byJason Jennings. Published in Mar 27, 2012. 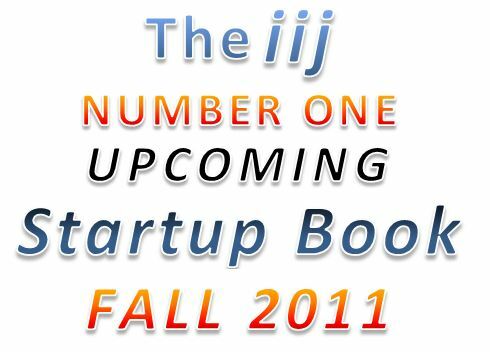 (14) Just Jump: The No-Fear Business Start-Up Guide for Health and Fitness Professionals by Marjorie Geiser. Published on Kindle – 8 Oct 2011. (13) Online Marketing for Small Business (Startups) by Jay Shah. Published in Paperback – 15 Oct 2011. (12) Consulting Start-Up and Management: A Guide for Evaluators and Applied Researchers by Gail V. Barrington. Published in Paperback – 25 Dec 2011. (11) New Programmer’s Survival Manual: Navigate Your Workplace, Cube Farm, or Startup by Joshua D. Carter. Published in Paperback – 6 Jan 2012. (10) Start Your Own eBay or Amazon Business (Startups) by Kim Benjamin. Published in Paperback – 13 Jan 2012. (9) Startups Accounting for Small Business Made Easy: The Small Business Experts Bring You Small Business Accounting by Startups.co.uk. Published in Paperback – 1 Feb 2012. (8) The Start-up of You: Adapt to the Future, Invest in Yourself, and Transform Your Career by Reid Hoffman and Ben Casnocha. Published in Paperback – 16 Feb 2012. (7) Intellectual Property in Academia: A Practical Guide for Scientists and Engineers by Nadya Reingand. Published in Paperback – 25 Oct 2011. (6) Become a Franchise Owner! : The Start-Up Guide to Lowering Risk, Making Money, and Owning What You Do by Joel Libava. Published in Paperback – 14 Dec 2011. (5) The Business of Venture Capital: Insights from Leading Practitioners on the Art of Raising a Fund, Deal Structuring, Value Creation, and Exit Strategies (Wiley Finance) by Mahendra Ramsinghan. Published in Hardcover – 9 Nov 2011. (4) Free Publicity for Small Businesses: How to Raise Your Profile and Boost Your Brand with Free PR (Startups) by Startups.co.uk. Published in Paperback – 16 Apr 2012. (3) Here’s the Pitch: How to Pitch Your Business to Anyone, Get Funded, and Win Clients by Martin Soorjoo. Published in Paperback – 21 Mar 2012. (2) Why Startups Fail and How Yours Can Succeed by David Feinleib. Published in Paperback – 2 Jan 2012. (1) Startup Weekend: How to Take a Company from Concept to Creation in 54 Hours by Marc Nager, Clint Nelsen and Franck Nouyrigat. Published in Paperback – 23 Nov 2011. “Startup Weekend is a global phenomenon that has attracted and encouraged a new generation of entrepreneurs. “Startup Weekend is the most current account of how the modern tech entrepreneur will operate and succeed. “There are lots of people who want to be entrepreneurs but they don’t know how to get started. How do you move from passion and an idea to a team, a product, and a launch? Startup Weekend has empowered thousands of entrepreneurs around the world to kick-start their startup dreams. “Startup Weekend is the modern-day equivalent of Woodstock for current and aspiring entrepreneurs. Computation: digital today, analog tomorrow? Are Silicon Valley VCs really in decline? Startup death spiral? Surely not!